Annual 4 bed/ 4 bath unit. 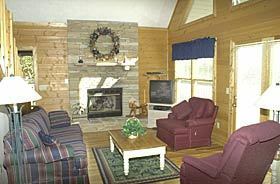 Deeded week 38 in the Tennessee Haven cabin, or receive 1,750 Points. Points can be used to reserve a unit for another week of the year. Annual 2 bed/2 bath unit. Deeded week 39 in the Greenwood Cabin, or receive 1,750 Points. Points can be used to reserve a unit for another week of the year. Price reduced! Annual 2 bed/2 bath unit. Deeded week 30 with 1,750 points. Points can be used to reserve a unit for another week of the year. The resort is currently in the process of upgrading and updating the cabins. Ref. #L1891.